The Opening forum began with group discussion by Sheila Bala (Shell), Roslin Rahim (IBM), Mona Abu Bakar, PWC, Anita & Abdul Hakim Nazri (Astro). The discussion addressed: employment issues, employers’ expectations from fresh graduates; challenges on recruiting and retaining graduates, utilizing available opportunities for career growth and how employers help them to align with real business world. For example, IBM has “buddy system” which is designed to help new recruits adjust with company policy and procedures and help them develop their soft skills under the supervision of senior peers. Similarly, PwC has feedback system which is applied for interns and those going through graduate trainee programs as well. About career challenges Sheila Bala had a straight view stating, “Achievement of others shall not break your will/pride. Live your dream and do not compare yourself with others—it’s picture of the real working world”. And to a question about usage of social media, ASTRO believes networking physically or virtually helps extend the chances of getting hired and promoted. The one hour interactive talk and networking session by each employer centered on career opportunities and insights. For example, “Your CGPA [may] help to get employment but “right attitude” guarantees lifetime value. Joanna Wee, Tan Chong. Addressing the issue of employment retention Lilian Kok, the Sr. Editor at GTI shared, “Work for experience not money; your experience will bring money not money brings you experience”. The students had positive feedback about the talks: Emanual Afamdi Iroh, who is doing Degree in Software Engineering in the University of Wollongong says, “The sessions helped me get better understanding of industries and working nature which we can hardly learn from our teachers”. One of the components of career week was, “Entrepreneurship Forum” as a different pathway for career organized in close collaboration with Junior Chamber International (JCI). The speakers were honorees of Ten Outstanding Youth Malaysia: Mdm Esther Law Lee Poh, Mr. In Kong Wah and Ir. Dr. Tan Chee Fai. During the Career Week, GTI Media conducted “Resume Clinic” to vet through resumes and provide one on one guidance to around fifty students. The highlight of Career Week was driving force behind the event; i.e. the “thirty student ambassadors” from all schools and program level. 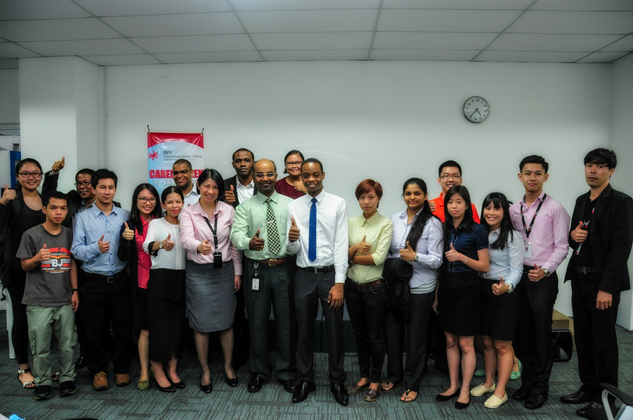 They coordinated with employers, facilitated the talks and implemented the event successfully. It was an opportunity to brand themselves, extend professional networks and practice softs skills: communication, collaboration, teamwork and leadership. Ho Yee Khang doing Bachelors in Finance from University of Hertfordshire thinks, “we planned and executed accordingly. We trusted each other as a team, which led to a professional event with Unilever”. 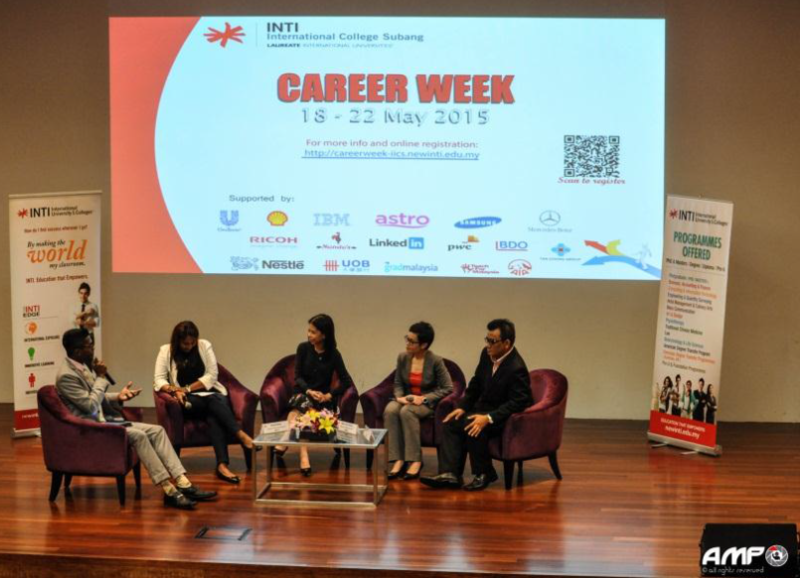 Overall, INTI helped students enhance their understanding about future careers and refine their soft skills by leading the event successfully.